Tokyo: Wearing a mask, cap and what looked like a construction worker's outfit, the former chairman of Nissan Motor Co, Carlos Ghosn, left a Tokyo detention centre Wednesday after posting 1 billion yen ($8.9 million) bail. Although his face was obscured as he left the facility, Ghosn's identity was apparent as he smiled after arriving at a building in downtown Tokyo, having removed his jacket, mask and hat. There was a scramble by media to follow Ghosn after he boarded a small Suzuki van, topped with a ladder, and travelled from the Tokyo Detention Centre toward downtown. Motorcycles trailed the van in formation as it passed through city streets to one of the defense lawyer's offices. Ghosn later left in another car, which was mobbed by media. 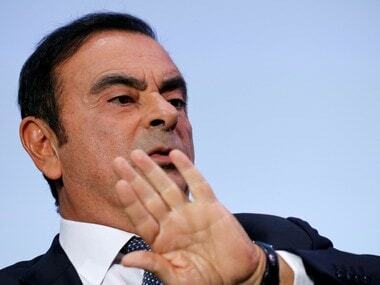 Ghosn, the former head of the Renault-Nissan-Mitsubishi Motors alliance was arrested on 19 November. He is charged with falsifying financial reports and with breach of trust. The Tokyo District Court confirmed the 1 billion yen ($8.9 million) bail was posted earlier in the day, after a judge rejected an appeal from prosecutors requesting his continued detention. That cleared the way for Ghosn to leave the facility after spending nearly four months since his arrest. Before his release, Ghosn, who turns 65 on Saturday, issued a statement reasserting his innocence. "I am innocent and totally committed to vigorously defending myself in a fair trial against these meritless and unsubstantiated accusations," he said. A date for his trial has not yet been set. Suspects in Japan often are detained for months, especially those who insist on their innocence, like Ghosn. Some legal experts, including Junichiro Hironaka, one of his lawyers, have criticised the system as "hostage justice", saying the long detentions tend to encourage false confessions. 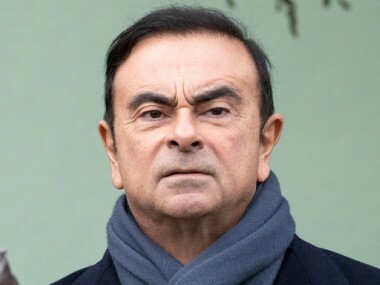 Ghosn's lawyer in France, Jean-Yves Le Borgne, said the lawyers in Japan will be leading the defense but he was in touch with them. 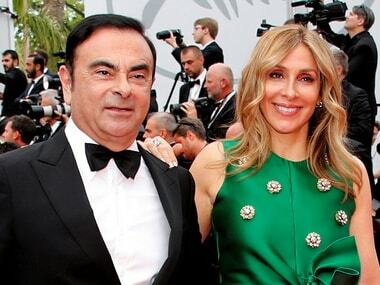 "He is catching his breath and settling in," Le Borgne said of Ghosn. 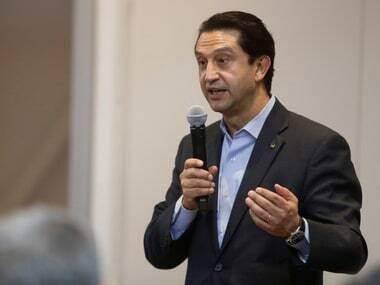 French Finance Minister Bruno Le Maire said a presumption of innocence for Ghosn was crucial, while noting the importance to France of the alliance between Nissan and French automaker Renault SA. "It is a good thing that Carlos Ghosn can defend himself freely and serenely, and his release will permit Carlos Ghosn to defend himself freely and serenely," he said. The French government owns about 15 percent of Renault SA, making it an influential voice in the future of the alliance. Le Maire said the "solidity" of that future was of tremendous importance. Hironaka said his legal team had offered new conditions for his release, such as installing a surveillance camera at his doorway and promising not to use the internet. He is allowed to make voice calls, but not to travel abroad. Prosecutors contend that suspects may tamper with evidence and shouldn't be released. Two of Ghosn's earlier requests to be released on bail were rejected. Some critics of Japan's legal system hope that Ghosn's release, so many weeks before preparations for his trial are ready, may set a precedent and help bring about change. Ghosn says he did not falsify financial reports because the compensation he is alleged to have under-reported was never paid or decided upon. The breach of trust allegations centre on a temporary transfer of Ghosn's investment losses to Nissan's books that he says caused no losses to the automaker. The charge also points to payments to a Saudi businessman that he says were for legitimate services. Nissan declined to comment on the criminal case against Ghosn but said an internal investigation had found unethical conduct. Nissan has dismissed Ghosn as chairman, although he remains on the board pending a decision at a shareholders' meeting. 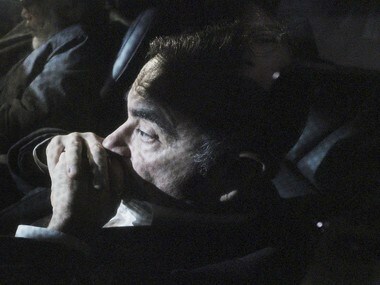 Ghosn's family has said that he has lost weight while in detention, and he looked thinner in his court appearance. Hironaka has said he is in good spirits. Ghosn thanked his family and friends, who, he said, "stood by me throughout this terrible ordeal."